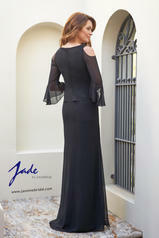 Pretty jade chiffon (with stretch lining) Mother of the Bride dress with a beaded V-neckline. 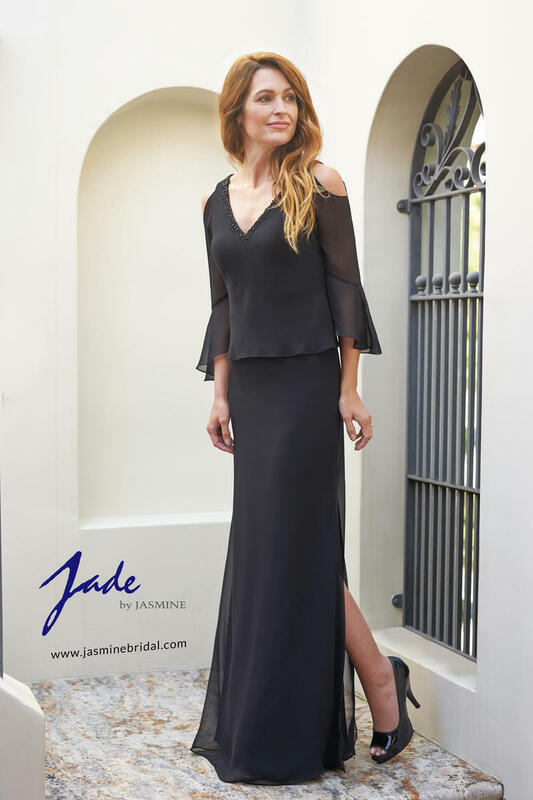 Cold shoulder 3/4 sleeves with a bell sleeve style on the end. Side slit on the flare skirt to complete the look.